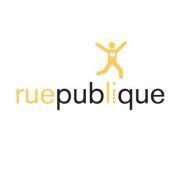 This week’s #CityTalk hears from a group called RuePublique. They’ve been organizing an annual street festival on St-Viateur in Mile End and are now working with the Plateau Mont-Royal borough on a summer-long pedestrian initiative called Rue Gilford en vacances. To listen or download this week’s #CityTalk, click here. To keep the conversation on urban issues going, tweet me @adambemma #CityTalk.